The Blues Project was a short-lived band from the Greenwich Village neighborhood of New York City that was formed in 1965 and split up in 1967. While their songs drew from a wide array of musical styles, they are most remembered as one of the earliest practitioners of psychedelic rock, as well as one of the world's first jam bands, along with the Grateful Dead. In 1964, Elektra Records produced a compilation album of various artists entitled The Blues Project which featured several white musicians from the Greenwich Village area who played acoustic blues music in the style of black musicians. Entitled simply Live at the Caf&eacute; Au Go Go, the album was finished with another week of live recordings at the cafe in January 1966. By that time, vocalist Tommy Flanders had left the band and was not replaced. As a result, Flanders appears on only a few of the songs on this album. The album was a moderate success and the band toured America to promote it. While in San Francisco in April 1966, during the height of the city's Haight-Ashbury culture, the Blues Project played at the Fillmore Auditorium to rave reviews. Seemingly New York's answer to the Grateful Dead, even members of the Grateful Dead who saw them play were impressed with their improvisational abilities. The Blues Project's last hurrah was at the Monterey International Pop Festival held in Monterey, California, in June 1967. By this time, however, half the original line-up was gone and most of their early magic was, too. Al Kooper had formed his own band and played at the festival as well, but no sort of reunion was in the offing. Guitarist Steve Katz left soon thereafter, followed by founder Danny Kalb. 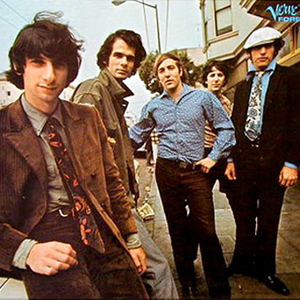 A fourth album, 1968's Planned Obsolescence, featured only drummer Roy Blumenfeld and bassist Andy Kulberg from the original lineup. Upon the album's completion, the remaining members formed Seatrain. The Blues Project, with a modified lineup, reformed briefly in the early 1970s, releasing three further albums: 1971's Lazarus, 1972's The Blues Project, and 1973's Original Blues Project Reunion in Central Park (which featured Al Kooper but not Tommy Flanders). These albums did little to excite the public, however. Since then, the group's activity has been confined to a few sporadic reunion concerts.